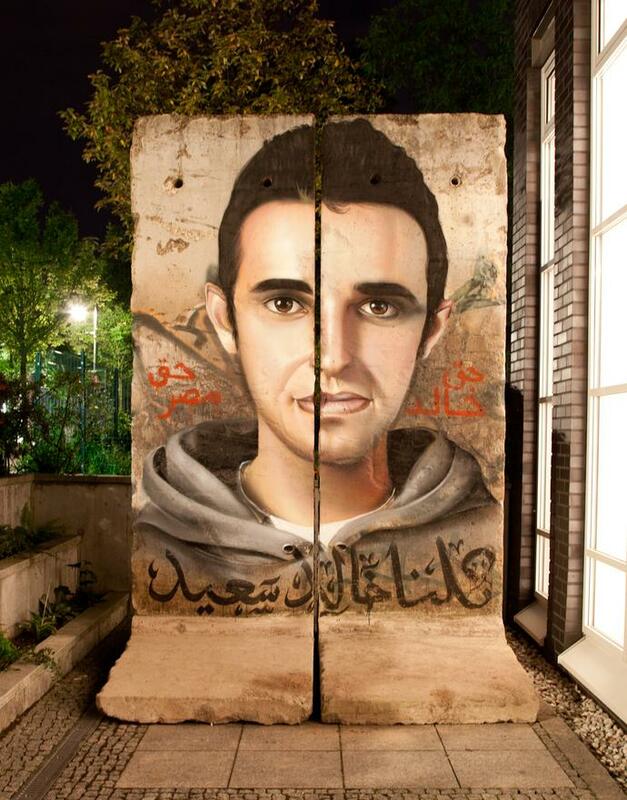 We are all Khaled Said – Berlin Wall from Traverse Streetcultures on Vimeo. Khaled Said, a symbolic figure and the face of the revolution in Egypt, was recently awarded the Friedrich-Ebert-Foundation‘s Human Rights Award 2011 together with Slim Amamou from Tunisia in Berlin on September 19th 2011. The tragic death of the Egyptian Internet activist, rapper and blogger sparked massive protests, with the Facebook page “We are all Khaled Said” becoming a strong force within the revolution. 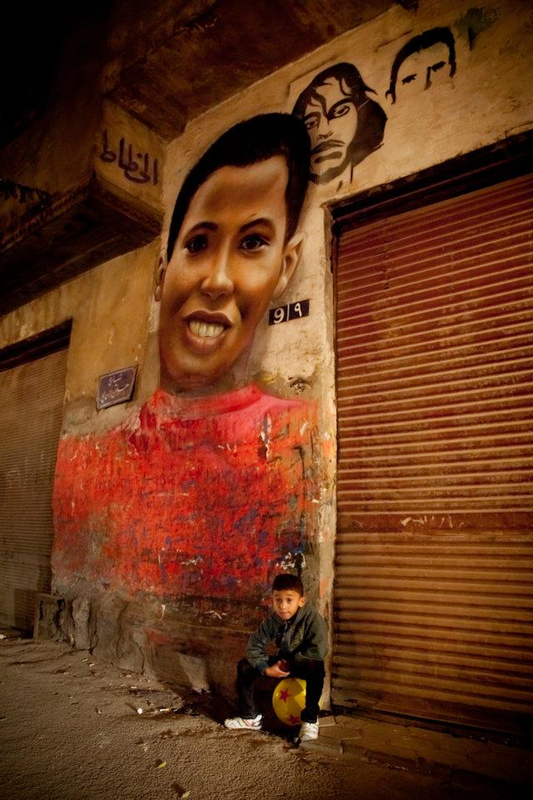 Many have paid tribute to Khaled Said with graffiti, street art murals and stencils in Cairo and Alexandria where he died on 6 June 2010 - brutally beaten by policemen. At the award ceremony in Berlin, he was honoured by having his portrait painted by German artist Andreas von Chrzanowski aka Case from the famous photo realist graffiti crew, Ma’Claim. This commemorative portrait was painted on a piece of the Berlin wall and transported to the venue. Khaled Said’s portrait, painted by Case. Text above: “Khaled’s rights are Egypt’s rights” painted by Zahraa Kassem. Text below: “We are all Khaled Said”, calligraphy by Mohamed Gaber painted by Case. 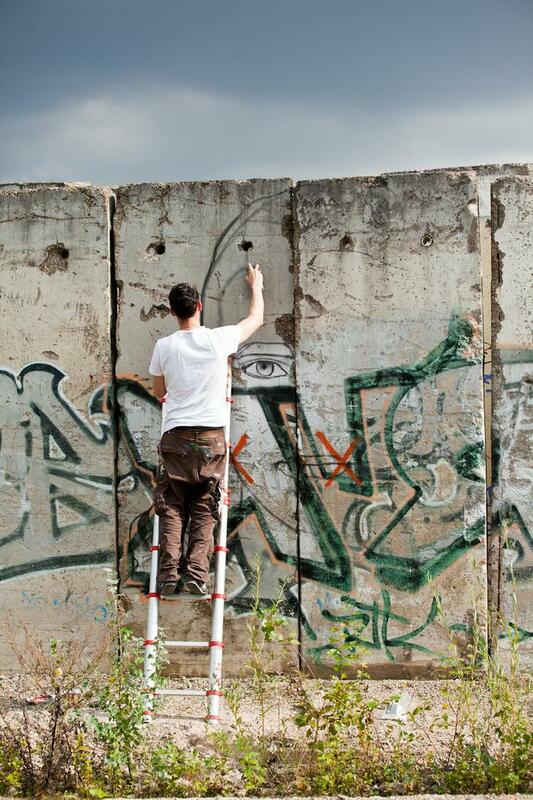 “They broke down the Berlin Wall for freedom and unity. Khaled Said got killed for the same reason, for freedom and democracy. Khaled would be very happy if he was with us today. We will not forget you Khaled and we will bring your rights back. And we will bring every Egyptian’s right back. We are all Khaled Said!” - Zahraa Said Kassem, Khaled’s sister who received the award on his behalf. Now, as part of a project with the Goethe Institute, new portraits have been painted by Case in Khaled Said’s home town of Alexandria and in the capital, Cairo. The rest of the Ma’Claim crew were also present and together they painted a mural symbolising peace, freedom and victory. Portrait in front of the Townhouse Gallery of an Egyptian boy whom Case met in the street while painting in Cairo. “Tribute to the Arab Revolution” by Ma’Claim crew (Akut, Tasso, Case, Rusk), Alexandria, 2011. GIF-Animation: Like the revolution, the mural “uses” the Internet to reveal its message. Below are videos of Joel Sames (documentarian of the project from the beginning) with Khaled’s Said’s mother Laila Marzouk and his sister Zahraa Kassem, discussing the project on an Egyptian TV show. Both Khaled’s mother and sister are still strong advocates in Egypt’s unfinished revolution. This is a project by Don Karl, publisher and co-author of the book “Arabic Graffiti” & Hip Hop Stuetzpunkt Berlin - in collaboration with The Dudes Factory (Freedom Park) & Friedrich-Ebert-Foundation. Photos and video by Joel Sames (courtesy of From Here to Fame).